Firefighters tackling the huge moorland blaze on Winter Hill have created an exclusion zone. 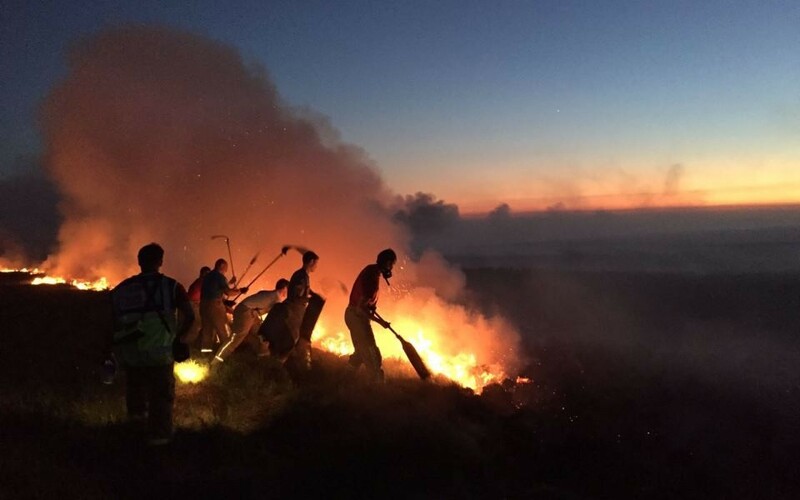 Lancashire Fire and Rescue Service wants people to stay away from the area – which stretches from Rivington Pike to Horrocks Moor – for their own safety and to prevent more fires. Around 20 fire engines remain at Winter Hill along with specialist wildfire fighting teams, helicopters, a drone and mountain rescue units. Crews from Lancashire and Manchester are being supported by firefighters from other areas to tackle the blaze which started a week ago.